I was part of the design team in the marketing department for Abercrombie & Fitch. We created in-store and out-of-store marketing material for the company which included signage, packaging, window displays, and hang tags for seasonal campaigns which rolled out both domestically and internationally. 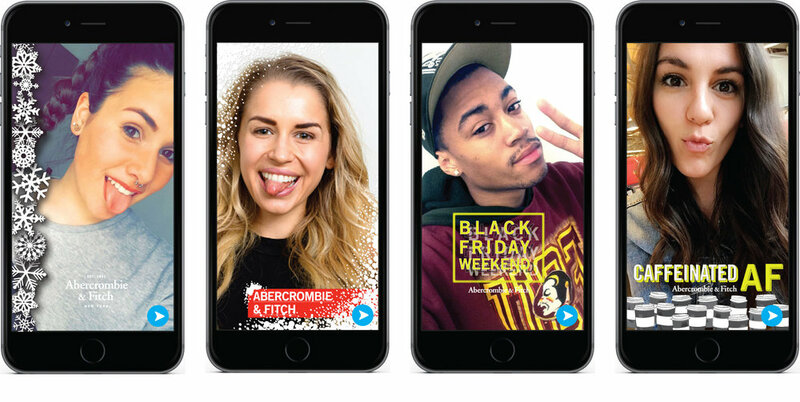 As well as designing everything inside the stores I was part of a group mixed with marketing, social media, and design to start the first A&F snapchat and snapchat geofilters. We also had the opportunity to concept for web and help with social posts to show how everything rebranded would live together.